In addition to the print editions of Bright Brains, here you can find extended online content. All articles are by and for our student and early-career members. If you’re interested in contributing to Bright Brains online or in print, please email Jayanthiny Kangatharan (jayanthinykangatharan@gmail.com). For decades, amyloid beta (Aβ) and tau aggregates have been the primary neuropathological hallmarks associated with Alzheimer’s Disease (AD) and its clinical manifestations. However, some recent discrepancies have reignited the debate of whether Aβ or tau alone are enough to cause the extensive neuronal death seen at late stages of the disease. Today, considerable evidence supports the notion that neuroinflammation plays a role in the progression of AD (1,2), and two recent studies have looked into the role of the immune system in AD. Macrophages to save the day? For many years, excessive immune responses have been thought to exacerbate AD pathology (3), with immune cells infiltrating the brain leading to pathological inflammation and neuronal death. As a result, the search for treatments has often sought the suppression of the immune response. However, research lead by Dr Michal Schwartz at the Weizmann Institute of Science in Israel and presented at the FENS Forum of Neuroscience in Berlin (4) might change this trend. By using a specific antibody to activate the immune system they managed to drive peripheral macrophages into the brain to digest the damaged tissue. The results, yet to be published, further showed that boosting immune activity improves memory and cognition in these mice, alleviating the progressive symptoms of AD. Their next steps will focus on optimising the antibody’s properties and adapting the treatment regime to move on to the next stage: a clinical trial with human participants. Aspirin is one of the most widely-used medications in the world. It stimulates the production of transcription factor EB (TFEB), a known master regulator of lysosomal biogenesis. This may have relevance for AD since lysosomes are the intracellular compartments where products taken up by cells (including Aβ) can be degraded. In fact, in a new study (5), researchers at Rush University Medical Center (Illinois, USA) orally administered a low-dose of aspirin to an AD mouse model for one month, before evaluating amyloid plaque deposition in the brain regions most affected by AD. They suggest that aspirin-induced TFEB upregulation occurs via the activation of peroxisome proliferator-activated receptor alpha (PPARα), and conclude that oral administration of low-dose aspirin successfully alleviates amyloid plaque pathology in both male and female mice, with this effect being PPARα-dependent. Their research highlights a new function of aspirin in stimulating lysosomal biogenesis through PPARα, suggest possible benefits of aspirin in reducing amyloid pathology in AD, and provides further hope that modulating the immune system could be utilised in the fight against AD. Heneka MT, et al. (2015) Neuroinflammation in Alzheimer’s disease. Lancet Neurol 14(4):388-405. Latta CH, et al. (2015) Neuroinflammation in Alzheimer’s disease; A source of heterogeneity and target for personalized therapy. Neuroscience 302:103-111. Heppner FL, et al. (2015) Immune attack: the role of inflammation in Alzheimer’s disease. Nat Rev Neurosci 16(6):358-72. FENS Press Office (2018) Press Release: Immune system reveals new ways to treat brain disease and pain. Available at https://forum2018.fens.org/contact-press/press-releases/ [Accessed 23rd July 2018]. Chandra S, et al. (2018) Aspirin induces lysosomal biogenesis and attenuates amyloid plaque pathology in a mouse model of Alzheimer’s disease via PPARα. J Neurosci 0054:18. The largest European gathering of neuroscientists took place in July 2018 at the 11th FENS (Federation of European Neuroscience Societies) conference, this year held in Berlin, Germany. Over 23,000 neuroscientists from across 32 European countries gathered for five days, with a shared goal of sharing advances in neuroscience research and education. An event of this scale does definitely not disappoint in terms of quality and quantity of research, with over 56 symposia organised across eight separate sessions. Symposia topics ranged from pre- and post-synaptic alterations in late-stage Parkinson’s disease, neural circuits for feeding behaviours and oral memory formation, to utilising CRISPR/ Cas9 gene editing as a treatment for neurological disorders. The conference also included a number of special interest talks, which covered issues such as reproducibility of scientific results and the use of animals in research, as well as many networking events. The conference opened with the Fred Kavli Lecture, presented by Tom Insel of Palo Alto, USA, who gave a talk on behavioural analysis through digital phenotyping. Professor Insel proposed new ideas on behavioural healthcare with an emphasis on redefining how healthcare providers will utilise technology to diagnose and manage brain and mental health disorders. One of the highlights of the conference was the world-renowned Brain Prize Lecture. In 2017 the prestigious prize was awarded to Peter Dayan, Ray Dolan and Wolfram Schultz for their multidisciplinary analysis of learning and reward mechanisms in the brain, and the implications of their findings for our understanding of human behaviours and diseases, such as gambling, drug addiction, compulsive behaviour and schizophrenia. Another highlight was the European Research Area Networks Neuron Excellent Paper in Neuroscience Award, presented this year to Cristina Garci?a Ca?ceres of the Helmholtz Zentrum Mu?nchen, Germany. Dr Ca?ceres presented her research on how astrocytes respond to the metabolism- regulating hormone insulin, in addition to leptin. This allows astrocytes to contribute to the control of sugar transport into the brain, suggesting that glucose transport is an active rather than a passive process. The FENS Forum comprised many other useful events for early-career researchers and PhD students, including poster sessions, PhD thesis prizes, evening networking events and socials, and an interesting talk on alternative careers for neuroscientists, thereby guaranteeing the event was a great success for scientists across all disciplines and career stages. FENS 2018 conference. Photo Credit: FENS / KENES. Emerging bioscience technologies are seeking to address the limited nerve regeneration evident in pathologies such as Spinal Cord Injury (SCI) utilising a class of biomaterials known as hydrogels. ‘Hydrogels’ or ‘scaffolds’ are comprised of between 95-99% water (hence ‘hydro’), with constituents including natural polymers such as collagen, hyaluronic acid or chitosan or synthetic polymers such as poly-ethylene glycol or poly-lactic acid (3, 4). Due to their elastic and versatile nature, hydrogels were initially used to build early colloidal gels made with inorganic salts (5). Biomaterial approaches to enhancing CNS repair have ranged from the use of mesoporous silicon rods to deliver drugs to injured tissues through to scaffolding neural stem cell (NSC) growth (1, 2), composed of various polymers to act as guidance scaffolds for nerve regeneration. Language. It is the tool that we use to solve problems and advance culture through communicating knowledge, teaching and learning from others. What happens when we first learn a language? Early in life we appear to be able to differentiate between virtually all phonetic units in the languages of the world (1). However, around the age of nine months, the infant brain adjusts to the continual exposure of the native language (L1) (2). Furthermore, after puberty there is an obvious decrease in the ability of an individual to acquire native-like proficiency of a second language (L2). The continuous process of neural commitment to the L1-specific speech patterns experienced early in life could account for the corresponding decrease in the ability to acquire another language later on in life (3). For example, cross-sectional studies showed that while 6-8 months old English infants were able to distinguish between two Hindi consonant sounds to the same level as native Hindi adults, 10-12 months old infants had difficulty with this task. This result was also replicated when assessing vowel sounds (4, 5). Does this mean that learning L2 later in life will limit your ability to attain native-like proficiency, and become fluent? Luckily, the answer appears to be no! Published findings found that some individuals who started learning L2 later in life reached native fluency. However, the alternative was also true; learning L2 early in life did not guarantee fluency (6, 7, 8). For example, a study, which compared the grammatical judgment of native English speakers, with that of Vietnamese people who had learned English early in life, found no difference in performance between groups (9). Despite this, the Vietnamese early learners of English also appeared to retain their native accent, which could thus be argued as not reaching native-like proficiency in the English language. One can therefore say that early exposure to a second language will not guarantee native-like proficiency. In another study, native English speakers were asked to rate the English accent of speech samples that had been produced by Dutch individuals who started learning English around 12 years of age (8). Approximately half of the Dutch cohort was mistaken for native English speakers, suggesting that it is possible for late L2 learners to attain pronunciation akin to native speakers. This finding was further supported by a study in which individuals from all over the world (Russia, Bulgaria, USA to name a few) were assessed on their Hebrew accent. The study found that the age at which individuals learnt L2 (in this case Hebrew) was not directly correlated to perceived native-like accent (10). Thus, an early start in learning L2 is not a prerequisite in acquiring unaccented speech. There is also physiological evidence, which has been published to support this concept. A group of adult participants were trained on an artificial language, and exhibited a similar pattern of brain activity to that observed in native speakers when they process their first language (11). Furthermore, there appeared to be little difference in brain activity when a syntactic violation, or language error, was processed. Both groups exhibited a double peak of brain activity, termed early negativity and late positivity (N400 and P600), when a syntactic error was encountered. Essentially, the automatic detection and correction of such errors during language processing, is similar between native speakers and L2 individuals. This indicates that both early and late learners of a language make use of the same brain mechanisms during the processing of language. Further supporting evidence is provided by other event-related brain-potential (ERP) studies. It has been shown that both the brain areas activated (15), and ERP patterns evoked in fluent L2 users, are largely observed in native speakers as well (12, 13). Difference in these parameters were revealed, however, when native and non-proficient speakers’ processing was compared (14, 16). The evidence that we retain our ability to learn speech in different languages over the course of life is good news for all of us who recently thought of taking up a second language. No matter your age, or which language you are hoping to learn, you can become a fluent L2 speaker if the ideal learning environment is created. Thus, when you train yourself intensively in perceiving and producing the sounds of the second language, show the motivation and enthusiasm to sound native-like, along with massive L2 exposure, it will be possible for you to achieve your aim of becoming a fluent L2 speaker. 1. Kuhl, P. K., Conboy, B. T., Coffey-Corina, S., Padden, D., Rivera-Gaxiola, M., & Nelson, T. (2008). Phonetic learning as a pathway to language: New data and native language magnet theory expanded (NLM-e). Philosophical Transactions of the Royal Society B, 363, 979-1000. 2. Johnson, J.S., & Newport, E.L. (1989). Critical period effects in second language learning: the influence of maturational state on the acquisition of English as a second language, Cognitive Psychology, 21, 60-99. 3. Kuhl, P.K. (2004). Early language acquisition, Cracking the speech code. Nature Reviews Neuroscience, 5, 831-843. 4. Werker, J. F., & Tees, R. C. (. (1984a). Cross-language speech perception: Evidence for perceptual reorganization during the first year of life. Infant Behavior and Development, 7, 49-63. 5. Werker, J. F., & Lalonde, C. E. (1988). Developmental Psychology, 24, 672-683. 6. Birdsong, D. (1999). Introduction: Whys and why nots of the critical period hypothesis for second language acquisition. In D. Birdsong (Ed. ), Second language acquisition and the critical period hypothesis (pp. 1-22). Mahwah, NJ: Erlbaum. 7. Birdsong, D. (2006). Age and second language acquisition and processing: A selective overview. Language Learning, 56, 9-48. 8. Bongaerts, T. (1999). Ultimate attainment in L2 pronunciation: The ease of very advanced late L2 learners. In D. Birdsong (Ed. ), Second language acquisition and the critical period hypothesis (pp.133-149). Mahwah, NJ. Erlbaum. 9. McDonald, J.L. (2000). Grammaticality judgments in a second language: Influences of age of acquisition and native language. Applied Psycholinguistics, 21, 395-423. 10. Abu-Rabia, S., & Kehat, S. (2004). The critical period for second language pronunciation: Is there such a thing? Ten case studies of late starters who attained a native-like Hebrew accent. Educational Psychology, 24, 77-98. 11. Friederici, A.D., Steinhauer, K., & Pfeifer, E. (2002). Brain signatures of artificial language processing: Evidence challenging the critical period hypothesis. Proceedings of the National Academy of Sciences, 99, 529-534. 12. Hahne, A., & Friederici, A. D. (2001). Processing a second language: Late learners’ comprehension mechanisms as revealed by event-related brain potentials. Bilingualism: Language and Cognition, 4, 123-141. 13. Steinhauer, K., White, E.J., & Drury, J. (2009). Temporal dynamics of late second language acquisition: evidence from event-related brain potentials. Second Language Research, 25, 13-41. 14. Ojima, S., Nakata, H., & Kakigi, R. (2005). An ERP study of second language learning after childhood: Effects of proficiency. Journal of Cognitive Neuroscience, 17, 1212-1228. 15. Perani, D., Paulesu, E., Sebastian-Galles, N., Dupoux, E., Dehaene, S., Bettinardi, V., et al. (1998). The bilingual brain: Proficiency and age of acquisition of the second language. Brain, 121, 1841-1852. 16. Dehaene, S., Dupoux, E., Mehler, J., Cohen, L., Paulesu, E., Perani, D., et al. (1997). Anatomical variability in the cortical representation of first and second language. NeuroReport, 8, 3809-3815. Flies on a treadmill - the answer to a puzzling mystery of neuroscience? Directed by founder Dr. Norbert Myslinski, the International Brain Bee is a worldwide competition that motivates students to learn about the brain, captures their imaginations, and inspires them to pursue neuroscience careers to help treat and find cures for neurological and psychological disorders. Sheep brain dissection. Photo Credit: British Brain Bee. Founded in 1999, more than 60 nations and 175 chapters are engaged in coordinating Brain Bee programs around the world, and this number is rapidly increasing. About 50,000 students participate across six continents every year, and more than 600 neuroscientists have been involved with organizing and judging the events. An Alumni Club has been established to sustain the global community of young scientists into their university and career tracts. The Brain Bee competition platform is organized on three levels: local, national, and international. Local scientific institutions are licensed by the International Brain Bee (IBB) to carry out city-wide or regional events, engaging students from 14-19 years of age. The first-place prize winners are granted the opportunity to compete at the national level. The National Champions are, in turn, invited to represent their country at the annual International Brain Bee competition, which is hosted by different neuroscience organizations during an international conference. The Btitish Brain Bee Comeptition format. 1. Kandel ER (2006) In Search of Memory: The emergence of a new science of mind (W W Norton & Co.: New York). Professor Robin Sengupta is a prominent neurosurgeon who has been dubbed “neurosurgeon of the millennium” by his peers. His achievements are many; most recently he has been the recipient of an OBE, as well as being awarded the Medal of Honour by the World Federation of Neurological Surgeons (1). Robin was born into poverty in Chittagong, India. His family could not afford to send him to school, so he would read each and every book that he could get his hands on. Eventually he was able to pay for school by tutoring younger students. Robin soon defied all odds to gain a place in medical school in Kolkata, India. After graduating, he moved to study surgery in Newcastle-upon-Tyne, UK. He stayed in Newcastle for 51 years, working as a leading neurosurgeon, carrying out cutting-edge research and treating countless patients. During his neurosurgical training, Robin became interested in cerebral aneurysm operations. An aneurysm is characterised by weakness in the walls of a vein or an artery. Aneurysms can be congenital or acquired through life and exacerbated by lifestyle factors such as diet, exercise, smoking and alcoholism. When the vascular wall components are weakened, the weak section can expand and “balloon”. The danger is that an aneurysm is prone to bursting or leaking. It goes without saying that the mortality and functional impact of a ruptured cerebral aneurysm can be very serious. In a time where there was no protocol or consensus on how to manage aneurysmal subarachnoid haemorrhages, a life-threatening and often fatal bleed in the surface of the brain, Robin strived to improve our knowledge and management of these patients. Robin travelled extensively all over the world, visiting many different neurosurgeons to observe the vast array of techniques and management styles of patients with subarachnoid haemorrhages. Through his research, he identified which common factors conferred good outcomes in aneurysm surgery. Robin used what he had observed to refine and develop his own novel technique. He then published a paper detailing 32 anterior communicating artery operations that he had carried out; his ability to complete the operations with a mortality rate of zero was unheard of at the time (2). Robin’s pioneering technique and positive outcomes led to referrals from around the UK and internationally. After dedicating much of his life to the NHS, Robin wanted to fulfil his own vision for delivering high quality, affordable healthcare to people in India. He decided to return to Kolkata, the city that made him the doctor he is today, and established the Institute of Neuroscience, Kolkata (IN-K) (3). Today, the IN-K is one of the best specialty hospitals in India for treatment, education and research in the field of neurology and neurosurger. 2. Sengupta RP, et al. (1975) Quality of survival following direct surgery for anterior communicating artery aneurysms. Journal of Neurosurgery, 43, 58-64. 3. Flies on a treadmill - the answer to a puzzling mystery of neuroscience? 1. Donlea, J. M., Pimentel, D. & Miesenböck, G. (2014) Neuronal machinery of sleep homeostasis in Drosophila. Neuron, 81, 860–87. 2. Pimentel, D., Donlea, J. M., Talbot, C.B., Song, S.M., Thurston, A.J.F. & Miesenböck, G. (2016) Operation of a homeostatic sleep switch. Nature, 536, 333-337. The 2017 Brain Prize was awarded by The Lundbeck Foundation (1) to Wolfram Schultz, Peter Dayan and Ray Dolan for their study of he role of dopamine in reward and learning. Surprised at and grateful for winning a ticket to see them talk, I headed to the venue: the Royal Society at the heart of London. As I was approaching the venue from the Mall, the view was impressive. Professor Schultz gave the opening talk, and set the tone for the evening, modestly joking that ‘There’s a really great lecture, after my lecture’. In an experiment analyzing behavior in monkeys, Schultz observed that when presented with two options, one slightly riskier and more rewarding than the other, monkeys preferred the higher stakes option. This tallies with evidence that the dopamine response is greater in high-risk gambles. Economic modelling suggests dopamine codes for reward subjectively; stronger dopamine release is based on a greater than expected reward. However, when receiving an expected reward, dopaminergic (dopamine producing) neurons do not activate above baseline-meaning no overall increase in dopamine when the reward is expected. Next to speak, Professor Dayan went on to couch the dopamine reward response in terms of reward prediction. He suggested that dopamine release guides learning by acting as a feedback mechanism, which therefore influences decision-making. Professor Dayan’s talk centered on the mathematical model he created explaining how this mechanism works. From a neuropsychiatrist’s perspective, Professor Dolan extended the concept to humans and further elucidated dopamine’s role in learning, providing evidence that increasing dopamine production improves reward-dependent learning, whereas reducing dopamine production impairs it. Dolan also suggested that, given that dopamine production slowly declines once humans reach adulthood, learning may become impaired because of a reduction in the ability of dopaminergic neurons to predict reward. Elaborating on points made in the previous talks, Dolan explained the amount of money does not affect happiness in gambling. Instead, the perception of happiness in gambling is based on whether the gamblers are performing better than their dopamine-producing neurons predict. From a molecular neuroscientist point of view, my main takeaways from the event were the interdisciplinary nature of the research, the opportunity to hear how molecular work can be complemented by mathematical models and translational experiments, and the realization that had they not combined their expertise, these researchers would have not have reached their fascinating conclusion. During my year as a Masters student at the university of Edinburgh, I was fortunate to be surrounded by a diverse and stimulating academic community in the department of Neuroscience. It wasn’t until I met Dr. Jane Haley, that I was given the opportunity to volunteer for an outreach event in Roslin, Edinburgh. As well as meeting Dr. Haley at the event, I also met Dr. Szu-Han Wang (PI of Wang Lab at the Centre for Clinical Brain Sciences). The conversation I had with Dr. Wang about my undergraduate research project on implicit memory, truly cemented my decision to work under her supervision towards my MSc thesis. So naturally when Dr. Wang advertised a placement for an MSc project, I applied without any haste. To my relief, Dr. Wang kindly accepted. From my perspective, the best part of the project was the opportunity to participate in collaborative research in Taiwan. But as expected, magnetic resonance imaging (MRI) research requires a wide knowledge of varied subject areas. Furthermore, there tends to be researchers from a range of backgrounds. For example, animal research is particularly important as it bridges the understanding between cognition and behaviour (psychologists/cognitive neuroscientists) with the physics and physiology of MRI (radiologists, engineers). Hence, the collaboration between various fields is absolutely key in MRI research. Before setting off for Taiwan, for months I focused on the technical gaps in my knowledge by iterative trouble-shooting and rote-learning through best practices. Although the sheer novelty of doing awake-rodent fMRI research became growingly apparent through the limited number of specific tools and research papers available (compared to human fMRI research). Thankfully, my collaborator Sun-Lin Han (a PhD student at LMRR, Chang-Gung University) guided me through the technicalities of independent component analysis and dynamic causal modelling. Not only was I working in a beautiful country, but also I made many friends in the lab; connections I am grateful for. Taiwanese people are friendly; I never once felt daunted, alone, or even hungry (the canteen was filled with delicious Taiwanese food). I would recommend anyone to visit or consider working in Taiwan or in any international institution that they may be considering when presented with the opportunity. The learning experience was rich, something that perhaps cannot be rivalled with any of my peers at the University of Edinburgh. This would be something I’d do again without a moment’s thought. 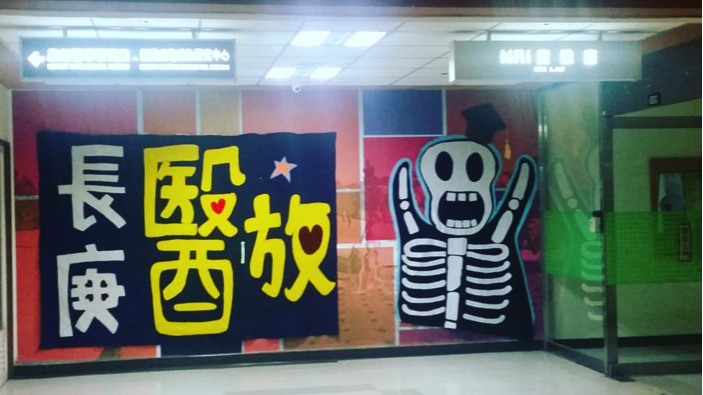 The Radiology Department at the host institution Chang-Gung University that is privately supported by the Chang-Gung Group contains several beautiful murals designed by the students of the university. The CAJAL summer school “Interacting with Neural Circuits” was held on 2-22 July 2017, at the Champalimaud Centre for the Unknown (Lisbon, Portugal), a state-of-the-art research facility named in 2012 the best place worldwide, outside the USA, to do postdoctoral work (1). 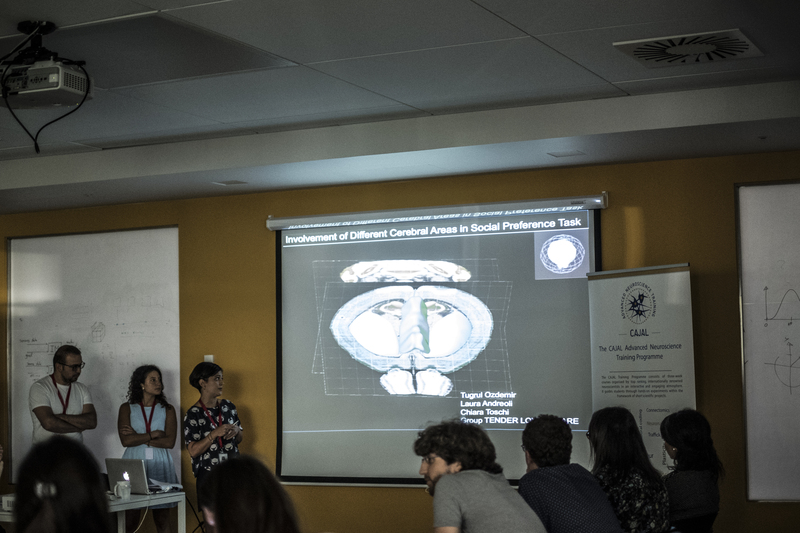 This course is part of the CAJAL Advanced Neuroscience Training Programme, a partnership between five leading neuroscience institutions (FENS, IBRO, the Gatsby Charitable Foundation, University of Bordeaux, and the Champalimaud Foundation) to establish a core neuroscience training facility in Europe (2). “Interacting with Neural Circuits” intended to combine lectures with hands-on training to highlight the latest techniques to investigate neural circuits, ranging from viral tracing to all-optical circuit interrogation. Students were provided with enough practical experience to understand the techniques’ advantages and disadvantages, to interpret experimental data correctly, and to have the capacity to apply their learning in their home laboratories. The first two weeks of the course were structured with morning lectures given by international leading experts of the field, including Profs. Winfried Denk, Mark Schnitzer, Kenneth Harris, and Michael Häusser, among others. Topics ranged from neuronal subtype identification and connectomics, to in vivo circuit dissection and behavioural modeling. One lecture, by Prof. Rui Costa, focused on animal experimentation, with reflections about scientists’ responsibility in conducting animal research and in communicating its utility to the general public. Afternoons and evenings were dedicated to intensive hands-on training on the broadest collection of techniques: viral neuronal tracing, in vitro and in vivo patch-clamp recording, high density in vivo extracellular recordings, fibre-optic fluorescence microendoscopy, in vivo calcium imaging, and all-optical circuit interrogation (3). During the last week, students were divided into groups and worked on a mini-project to gain independent experience with these techniques. My project focused on the predictive features of the visual cortex, comparing juvenile and adult mice, using in vivo calcium imaging and extracellular recordings with Neuropixels probes. Besides highlighting cutting-edge science, the course provided ample time to interact with course-mates, teaching assistants, speakers, and course organisers through many social events, including two poster sessions, a football match, a surfing trip, and daily shared meals. In only three weeks, I explored new topics, developed a deeper understanding of the field, and learned new in vivo techniques and analysis approaches. Whether you are a first-year PhD student or an experienced post-doc, I can definitely recommend “Interacting with Neural Circuits” as an incredible opportunity for scientific growth and for establishing an international network of highly specialised researchers. Final presentation of the mini-projects. Photo Credit: Catarina Ferreira da Silva. 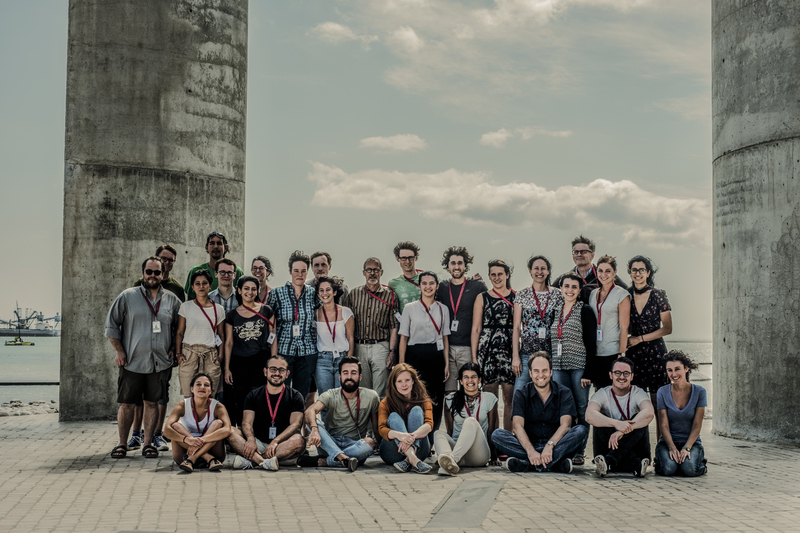 Official group picture of the Summer School "Interacting with Neural Circuits", taken on July 21st 2017. Photo Credit: Catarina Ferreira da Silva. Iron is essential for many metabolic processes such as DNA synthesis (1). While variations in iron concentration exist throughout development, a general increase occurs with age. This is particularly marked in the substantia nigra (SN) brain region, which is involved in Parkinson’s disease (PD) (2,3). This age dependent increase may be caused by an upregulation of the divalent metal transporter 1 (DMT1), a protein that transports ferrous ions (Fe2+) into cells (4). Research by Saadat and colleagues suggested a link between a polymorphism of the SLC11A2 gene (that encodes DMT1) and PD (5). Additionally, Song and colleagues determined that silencing of iron transporter, ferroportin 1, caused an elevation in intracellular iron levels (6), demonstrating its potential role. Dopamine (DA) metabolism occurs via the monoamine oxidases (MAO-A and -B). In both aged and PD individuals, MAO-B is upregulated. Metabolism of DA through this enzyme leads to hydrogen peroxide (H2O2) production (7), which in turn can produce reactive oxygen species (ROS) through reversible Fenton and Haber-Weiss reactions (8). ROS are normally produced during aerobic respiration. Excessive production causes damage to proteins, lipids, DNA and RNA, and consequently induces cell death (9). Ferroptosis is a novel iron-dependent form of regulated cell death that can be induced by a depletion of glutathione (10). This can occur through the inhibition of a glutathione-dependent enzyme, GPX4, which under normal physiological circumstances limits the rate of iron-dependent lipid peroxidation in cells (11, 12, 13). Ferroptosis can be prevented using ferrostatin and iron chelators (10). However, applying such conclusions to PD requires caution – most of the research into ferroptosis has been conducted in cancer cells. There is currently very little research into PD associated ferroptosis. Do Van (14) determined that erastin, a ferroptosis inducer, can provoke cell death characteristic of ferroptosis, and confirmed Dixon’s findings that ferroptotic death is preventable by ferrostatin-1. In contrast to previous research, Do Van also reported GPX4 to be upregulated in PD, possibly due to co-localisation of GPX4 with neuromelanin, an iron chelator found in high concentrations within the SN (17). The SN is rich in dopaminergic neurons and iron, which may render it particularly vulnerable to the degeneration observed in PD (18, 19). Whilst evidence remains limited, the implication of ferroptosis as the mode of cell death in PD presents a novel research direction, through which we may discover novel preventative or curative measures against this debilitating disease. 1. Abbaspour N, et al. (2014) Review on iron and its importance for human health. J Res Med Sci 19(2):164–174. 2. Bartzokis G, et al. (1997) MR evaluation of age-related increase of brain iron in young adult and older normal males. J Magn Reson Imaging 15(1):29–35. 3. Fukunaga M, et al. (2010) Layer-specific variation of iron content in cerebral cortex as a source of MRI contrast. Proc Natl Acad Sci 107(8):3834–3839. 4. Lu L-N, et al. (2016) Expression of iron transporters and pathological hallmarks of Parkinson’s and Alzheimer’s diseases in the brain of young, adult, and aged rats. Mol Neurobiol 54(7):5213–5224. 5. Saadat S.M, et al. (2015) Is the 1254T>C polymorphism in the DMT1 gene associated with Parkinson’s disease?. Neurosci Lett 594(1):51–54. 6. Song N, et al. (2010) Ferroportin 1 but not hephaestin contributes to iron accumulation in a cell model of Parkinson’s disease. Free Radic Biol Med 48(2):332–341. 7. Edmondson D (2014) Hydrogen Peroxide Produced by Mitochondrial Monoamine Oxidase Catalysis: Biological Implications. Curr Pharm Des 20(2):155–160. 8. Tabner, B.J, et al. (2001) Production of Reactive Osygen Species from Aggregating Proteins Implicated in Alzheimer’s Disease, Parkinson’s Disease and Other Neurodegenerative Diseases. Curr. Top. Med. Chem. 1(6):507–517. 9. Zorov D, et al. (2014) Mitochondrial reactive oxygen species (ROS) and ROS-induced ROS release. Physiol Rev 94(3):909–950. 10. Dixon S.J, et al. (2012) Ferroptosis: an iron-dependent form of nonapoptotic cell death. Cell 149(5):1060–1072. 11. Gao M, et al. (2015) Metabolism and iron signaling in ferroptotic cell death. Oncotarget 6(34):35145–35146. 12. Cao J & Dixon S (2016) Mechanisms of ferroptosis. Cell Mol Life Sci 73(11-12):2195–2209. 13. Yang W & Stockwell B (2016) Ferroptosis: death by lipid peroxidation. Trends Cell Biol 26(3):165–176. 14. Do Van B, et al. (2016) Ferroptosis, a newly characterized form of cell death in Parkinson’s disease that is regulated by PKC. Neurobiol Dis 94(1):169–178. 15. Dolma S, et al. (2003) Identification of genotype-selective antitumor agents using synthetic lethal chemical screening in engineered human tumor cells. Cancer Cell 2003 3:285–296. 16. Zhang X, et al. (2014) Cell-based assays for Parkinson's disease using differentiated human LUHMES cells. Acta Pharmacol Sin 35(7):945–956. 17. Bellinger F, et al. (2011) Glutathione peroxidase 4 is associated with neuromelanin in substantia nigra and dystrophic axons in putamen of Parkinson's brain. Mol Neurodegener 6(8). 18. Gotz M, et al. (2004) The relevance of iron in the pathogenesis of Parkinson's disease. Ann N.Y Acad Sci 1012(1):193–208. 19. Ayton S & Lei P (2014) Nigral iron elevation is an invariable feature of Parkinson’s disease and is a sufficient cause of neurodegeneration. BioMed Red Int 2014. Fear and learning seem counterintuitive. After all, rarely are study sessions improved by feelings of terror. Learning that something is dangerous, or no longer a threat, is essential to the purpose of fear. Most fear is learned through classical conditioning, whereby animals associate a cue with something inherently dangerous or unpleasant. They can later learn something is not dangerous through repeated experience of that cue without trauma. This is termed extinction learning, whereby the new memory suppresses the original fear memory. A recent study (1) investigated the potential neurons responsible for suppression of fear memories post extinction learning. They used transgenic TetTag mice expressing inhibitory DREADD (designer receptors exclusively activated by designer drugs) receptor hM4Di, to allow control of basolateral amygdala (BLA) parvalbumin-expressing (PV) interneurons, through inhibition of cell activity by injection of DREADD ligand clozapine-N-oxide (CNO). Mice were taught to fear a cage by receiving an electric shock, prior to extinguishing that fear through removal of the shock. Mice were then injected with CNO. Their fear response was measured as time spent frozen and immobile, using Actimetrics FreezeFrame software. Neuronal activity was measured through expression of ZIF protein and GFP. Both freezing behaviour and activity of fear-associated neurons in the BLA increased after CNO injection. Control mice were placed in a neutral box environment, receiving no shocks, and a vehicle injection of 5% DMSO in saline was used. The authors predicted PV interneuron control to be due to greater levels of innervation between PV interneurons and BLA fear-associated neurons, compared with extinction behaviour associated neurons. However, the results of perisomatic analysis through use of the mCherry virus did not support this. To determine which other processes may potentially be influenced by PV interneurons, more hM4Di expressing mice were tested, and their Local Field Potentials (LFP) measured using surgically implanted electrodes. LFP oscillations between 3-6Hz were consistently linked with fear and freezing behaviour. As fear neurons were reactivated post CNO injection, the BLA LFP exhibited a shift from 6-12Hz towards 3-6Hz. Ultimately, this research may be used for the treatment of anxiety disorders such as Post Traumatic Stress Disorder (PTSD), of which current treatments are largely ineffective in a number of patients (2). An understanding of exactly which neurons are involved in extinction learning may help develop more targeted drugs. Insight regarding brainwaves may also help, using neurofeedback training to alter brainwaves to help alleviate PTSD symptoms (2). Greater understanding of how these oscillations compete and interact could help improve treatment by allowing a more targeted approach. 2. Shalev A, et al. (2017) Post-Traumatic Stress Disorder. NEJM 376 (25):2459-2469. At first glance, it might seem odd that you would need to prefix the term "research" with the qualifier "reproducible". Surely, once you have a paper in your hands, you have all the details to reproduce someone else's work? That's certainly the theory when writing the paper, but often not the practice. Since 2004 we've set a problem for our masters students to reproduce key results from a paper within computational biology. Even though students carefully select a paper where the methods section seems comprehensive, and all the experimental data are available, they invariably find many missing details that preclude them from reproducing key figures or results. Many papers have been published on this failure to reproduce (1), commonly termed the "reproducibility crisis" (2). So, what might reproducible research entail? The definition varies across groups, but my interpretation is that when publishing result, labs should also provide all relevant datasets and methodology for transforming data into results. This means providing the spreadsheets or computational scripts to reproduce analysis. In turn, researchers should move away from "point and click" analysis methodologies (doing a t-test in Excel) towards computer scripts (such as R, matlab or python) so that others can re-run the same routines. This leads us naturally to the second term, open science. The competitive nature of science, such as limited funding, jobs, and ‘high impact’ publications means that there is a natural tendency to withhold key datasets or analysis technologies: why give away your results to your competitors? An alternative view gaining prominence in recent years is that by sharing our resources, we allow others to build on our work and science as a whole should benefit. As an open scientist you are increasing your chances of making your work reproducible. Being an open scientist may seem naive and altruistic, but there are selfish reasons for sharing your research (3). Many funding agencies now require data management plans for sharing of data post publication, and journals are increasingly asking for data and methods. My optimistic hope is that in 10 years we might be able to drop the qualifier ‘open’ and instead talk again simply about science. 1. Read the guidelines in Markowetz (3) and think if they would apply to you. 2. Read about experiences such as Erin McKiernan. 4. Talk to your local library to see what services they can offer to help archive and share your research. Find a local community of like-minded scientists! Fixing the unfixable: could stem cells be the answer to curing spinal cord injury? The relevance of clinical research in establishing safe and effective medical therapies is well recognised. However, recently attention has turned to the scant evidence base from which to draw best practice in the treatment of medical conditions for a population that is typically excluded from such research: pregnant women. Pregnant women suffer from the same medical conditions as the general population, but other than research on pregnancy itself, there is a dearth of clinical trials involving pregnant women, and few drugs are directly approved for use during pregnancy. Thus, doctors treating pregnant patients are forced to rely on inferences from drug studies that have explicitly excluded pregnant women in their trials. Women experience substantial physiological changes during pregnancy, including metabolic and haematological alterations, which are likely to impact on their pharmacodynamics. Extrapolation from such studies is, therefore, a vastly imperfect way of informing pharmaceutical dosage and efficacy, and doing so means pregnant women are in danger of under- or mis-treatment, and are ill-informed about the risk exposure to certain therapies could pose, both to themselves, and their unborn child. The need for a more informed understanding of therapies during pregnancy is compelling, and can only be achieved by including this population in clinical research. So why are pregnant women still so often excluded from clinical trials, and can the challenges facing their involvement in research be overcome? To answer such questions, we must first consider the key ethical principles of human clinical research. The Nuremberg code, created as a result of the Nuremberg trials - a set of tribunals for war crimes in response to the horrific human experimentation carried out in Nazi concentration camps during World War II - was vital in establishing contemporary ethical principles for experimentation involving human participants. The code, along with the associated declaration of Helsinki, remains one of the main pieces of documentation upon which modern research ethics is based (1, 2). It sets out ten key requirements for medical research involving humans, including the necessity of voluntary informed consent - a cornerstone of modern medical ethics (see List 1). Whilst the code sets out to protect the human rights of all research subjects, it is particularly relevant in the safeguarding of those who most need it: persons considered vulnerable. Historically, this group has included children, adults with compromised mental capacity, prisoners and pregnant women. Understandably, those who lack capacity, both physically and/or mentally, need this protection to ensure their rights remain inviolate and that they retain as much autonomy as the law allows. However, including pregnant women alongside this group is controversial as, unless they fall under another of the categories listed above, they are not a directly vulnerable group, retaining the same capacity for autonomous decision making, and are simply distinguished from the general population by being inseparable from a vulnerable ‘future person’ – their unborn child. It is the incapacity of this ‘future person’ maturing within their mother that has historically rendered the mother-foetus entity vulnerable in the eyes of clinical researchers and physicians. Generally, this has meant that even if a pregnant woman wishes to be a part of clinical research, she is likely to be excluded. This classification is in contrast to official legalities surrounding the rights of pregnant women. Though widely discouraged, it is not illegal for pregnant women to smoke or drink alcohol, which can result in foetal growth restriction and developmental impairment, or indeed, in certain circumstances, to terminate the pregnancy. This means official UK laws permit the autonomy of expectant mothers more fully than the ethics surrounding their involvement in clinical experimentation. The reason for this difference is largely due to the fact that whilst the medical ethics surrounding foetuses is blurred with emotion and complexity (3-5), the actual UK law is more distinct: the rights of the foetus are not realised until the foetus is born alive. Legally, the foetus is a ‘person-in-waiting’, and this means that no litigation can be brought by a child against its mother for any pre-natal injuries or harm caused by their mother’s conduct before their birth [(6). While a mother may not be held liable by a judge or jury for harm caused to her child as a result of her gravid behaviour, clinical researchers have an enduring moral obligation to ‘do no harm’ to a future person in the course of their experiments, meaning pregnant women are routinely excluded from clinical trials to ensure their foetus is protected. This is an understandable concern, and the importance of preventing avoidable harm to women and their foetuses through research is undeniable. It is doubtful that anyone would argue that researchers should simply accept the same view as the law with regards to foetal rights in order to more readily include pregnant mothers in research; pregnant women cannot simply be treated like other research subjects as they are indeed physiologically different to the general population, and the safety of their baby is a priority. This may mean that involving them in research is more challenging and more considerations are needed; however, it seems there is a good argument for re-classifying pregnant women as ‘complex’, both scientifically and ethically, rather than ‘vulnerable’, when considering their participation. If this were universally agreed upon, it could lead to a corresponding shift in the inclusion criteria for clinical trials and an increase in studies that do not automatically exclude them due to their perceived vulnerability. The drop-in event welcomed visitors of all ages. Members of the Nicodemus group and neuroscience student helpers chatted to children about brain anatomy and brain functions. While the youngest visitors got involved in creating anatomical brain hats, or emotional clocks that indicate one’s emotional state, older children, along with their parents and caregivers, enjoyed live neuroeconomic games and learned about the benefits of cultivating trust and cooperation in relationships. All games involved a reward of candy, proportional to the players’ winnings. Adults and older children were also invited to an informal chat about ongoing research involving neuroimaging techniques, genomics and their role in mental health. Over the course of the festival data were collected as part of a pilot study to investigate developmental trajectories of socio-economic traits and the effect of family relationships on game play strategies. All in all, an estimated number of 2988 people visited the drop-in event during the 5 days, averaging almost 100 people per hour! Many thanks therefore go to everyone who helped make this event a success, with a special thanks to the mental health charity MQ, Edinburgh Neuroscience and its scientific coordinator Dr Jane Haley, and to all volunteers. On 17th March 2016, Cambridge Neuroscience organised the 28th Cambridge Neuroscience Seminar. Hosted by the Downing site campus, this meeting saw more than 300 delegates gather to attend a highly interactive symposium that showcased cutting-edge research on the theme of “New Directions”. The meeting was opened by Professor Bill Harris, head of the Department of Physiology, Development and Neuroscience. He thanked the seminar organisers, and especially Dr Dervila Glynn, for their hard work, and promised an exciting day of talks and posters. The afternoon session continued with a highly varied programme about predation, pain and psychosis. Dr Paloma Gonzalez-Bellido began the session by discussing hunting tactics of insects. She engaged the audience with flies’ optimal attack-trajectory, combing speed and acuity, using videos. Dr Ewan St John Smith continued to engage the audience with adorable videos of naked mole-rats. In contrast to other animals, naked mole-rats do not perceive acid as painful. Dr Smith is particularly interested in this acid-insensitivity of the naked mole-rat as a vehicle for understanding arthritic pain. Professor Paul Fletcher concluded the session with a presentation on psychosis. He argued that we can consider even our normal perception as a “controlled hallucination”: our brain tries to compute a model of the world with limited sensory information and ambiguity. This could serve as model for exploring psychosis, with false perceptions and irrational beliefs as inferential processing errors. This report was first published on the CamBRAIN website. Images courtesy of Cambridge Neuroscience. Public engagement can help you get a different perspective on your research and gain valuable communication skills. It can also raise the profile of your research area, which can sometimes contribute to maximising research impact. For these reasons, major funders nowadays will expect researchers to be active in public engagement; informing, consulting and collaborating with the wider public. Oxford has an active club for early career neuroscience researchers, the Cortex Club, founded in 2009. The Club’s main role is organising small informal discussions and debates on cutting-edge topics and significant, challenging issues in neuroscience. However, it also provides a fantastic forum where graduate students and early career researchers can work together on public engagement activities sharing their ideas and gaining experience. A key part of the Oxford Neuroscience public engagement calendar is the Dana Foundation Brain Awareness Week held in March. This global campaign aims to increase public awareness of the progress and benefits of brain research. Brain Awareness Week 2016 was held from 14th- 20th March and the Cortex Club was as always keen to take part. Working with Silke Ackermann and Stephen Johnson from Oxford’s Museum of the History of Science, the students organised ‘Brain Aware’: a day of fun and engaging activities to inform the public about neuroscience research into a number of areas such as stroke and neurodegeneration. Graduate student Cristiana Vagnoni explained: “By using an established venue like a museum we knew the visitors would be ready and willing to be engaged. It also enabled us to take advantage of their communication channels to help promote the event. However, the programmes are drawn up months in advance and so you need to start planning early”. The students were also able to make use of the BNA Local Group Representative and Neuroscience Coordinator Dr Nicholas Irving who promoted ‘Brain Aware’ within the broader programme of Brain Awareness Week activities taking place across Oxford. This meant that they could benefit from shared publicity materials with a common design. On the day running a public engagement activity can be very exhausting and so a small army of volunteers came along to help make ‘Brain Aware’ successful. As one volunteer, Emily Hinson, pointed out: “It’s very important to know who your target audience is so that you can tailor activities to suit them. We knew there would be a large proportion of families with children and so we made sure there was something for everyone”. Emily coordinated a range of demonstrations centred around research into stroke rehabilitation. These included throwing bean bags into a bucket while wearing prism glasses used to treat patients with hemispatial neglect. Students also brought along an EEG-based toy that is a fun way to introduce non-invasive imaging technologies and a brain stimulation kit which can be used to augment the beneficial effects of motor rehabilitation. Students Lev Tankelevitch and Cristiana Vagnoni used ‘Brain Aware’ to try out some new activities including a cockroach leg experiment, which involved live recording of electrical activity from neurons inside a real, isolated cockroach leg. For this they used Spikerbox, which provides a simplified but complete recording setup fitting in the palm of the hand. Electrical signals from two pins placed inside the leg are amplified and displayed live on a connected monitor. This demo was set up as an experiment for the public to perform. Visitors used a magnifying glass to observe tiny hairs on the cockroach leg, which are connected to neurons inside and allow the insect to sense its environment. They were then encouraged to brush the hairs and observe the live neural response on the monitor – direct evidence of how sensory information is coded using electrical signals. They also used electrical current from the laptop to stimulate the leg and activate the nerve-muscle system, making the leg move and illustrating that neurons also use electricity to activate muscles and create movement. In addition, these two students demonstrated a nerve-muscle interface experiment, in which they used a skin electrode to record the electrical activity in the forearm muscle of one volunteer, amplified this activity, and used it to electrically stimulate the nerve in the forearm of another volunteer. This (harmlessly) activated the muscle and made their fingers twitch – a strange and funny, but not painful, sensation. Essentially, one person's intentional muscle movement controlled the nerve (and muscle) of another, demonstrating that all nervous systems, including ours, use electrical activity to communicate. Student Steven Chance used ‘Brain Aware’ to showcase an educational Xbox game about Alzheimer’s disease "Battle A.D." In this, visitors were able to battle tau mutants, collect stem cells and travel to the dentate gyrus to defeat Alzheimer's disease. The game was obviously particularly appealing to younger visitors (children and teenagers), familiarising them with terminology relating to brain anatomy and pathology. He also brought along a microscope with slides of human brain sections of Alzheimer’s pathology that had been cleared for public display. This enabled visitors to relate the cartoon game versions of pathology to the real-world examples through the microscope. It is essential to perform an evaluation exercise to seek feedback from the public on what they thought of ‘Brain Aware’. This enables you to learn what went well and not so well and therefore constantly improve your public engagement activities. Therefore, visitors were encouraged to complete a short evaluation survey. The visitors’ interactions and feedback throughout the day were very encouraging and the results confirmed this. Visitor comments included: “Very engaging. A clear demonstration of how we produce and receive electrical signals. A lot of fun!” “Loved how you all took the time to explain to our little ones – thank you.” “Learned a lot about neurons and found it fascinating!” In the end the Museum counted a total of 672 people who visited ‘Brain Aware’. Summing up ‘Brain Aware’, Lev Tankelevitch and Cristiana Vagnoni said: "This was our first time independently organising a demonstration stall, and it couldn’t have been more successful. The enthusiasm, curiosity, and support that the visitors showed made the experience wonderful, and only strengthened our belief that scientists shouldn’t shy away from making their methods accessible to the public." ‘To empower immigrant communities through science outreach’ - this is the motto of the ‘Native Scientist’, a non-profit organisation, which promotes science and language-integrated learning. Collaborating with international scientists, the Native Scientist organises science outreach sessions for bilingual school children with immigrant backgrounds. In these sessions children have the opportunity to develop their multilingual skills by practicing a language that is not spoken in the country they currently live in. At the same time, pupils get to learn about science from real scientists and to know more about STEM-related careers. This gives voluntary scientists the opportunity to develop their communication skills while increasing the impact of their work through science outreach that is aimed at better social integration. When it was first founded in 2013, ‘Native Scientist’ promoted sessions in London exclusively but it has now expanded. They are now organising UK wide science outreach sessions in the languages Portuguese, Spanish, French, Italian, Greek and German. They are reaching out to Europe as well by organising initiatives in Germany and France. Their aim is to increase both the number of school sessions and the range of languages covered. I had the chance to participate in one of these wonderful sessions that was held at the City of London Academy in Islington. During this Portuguese class that was led by Dr Sara Marques, Dr Delfim Duarte, Dr Sara Trabulo and myself, the pupils learned about a range of scientific subjects including cancer, cell migration, disease-causing parasites and the workings of the brain. Despite their varying personal interests or hobbies, the children showed abundant amounts of curiosity and were interested in learning about the aforementioned scientific topics. They were also curious about what it is like to be a scientist and what motivates scientists to pursue their fascinating scientific endeavours. The opportunity to talk to children about my research and my passion for neuroscience turned out to be an incredibly rewarding and memorable experience, one that I can truly recommend. With a number of sessions that are being planned for the next months, the Native Scientist is currently looking for more voluntary bilingual scientists. To get involved and have the opportunity to talk about your work and passion for science while inspiring young children, get in touch with the Native Scientist. On Wednesday 17th February Queen Mary University of London hosted the inaugural research workshop on ‘Auditory Neuroscience, Cognition and Modelling’. This sold-out workshop brought together around 100 researchers from a range of neuroscience, cognitive and computational disciplines to discuss novel insights into the neuro-cognitive mechanisms of processing sound, speech and music. Keynote lectures were delivered by Professor Elvira Brattica on the automatic and conscious processing of musical sound features in the brain; Dr Jean-Julien Aucouturier on the real-time transformations of emotional speech; and Dr Richard E. Turner on probabilistic models for natural audio signals. Additionally, attendees were captivated by six intriguing talks on such subjects as ‘EEG-based emotion detection in music listening’, ‘contextual influences on the neural encoding of speech sounds’ and ‘graphical modelling of neurological data in EEG/MEG’. The one-day workshop included a poster session, in which 23 research posters were put on display, offering participants the opportunity to engage in a more in-depth exploration of the latest research in speech and music processing. Some notable highlights included ‘the adaptive effects of frequency on the auditory cortex’, and ‘the hierarchical nature of continuous speech processing’. By covering a wide diversity of topics, the session allowed attendees to gain a more profound understanding of how and why particular methods are used in current research. Topics ranged from ‘EEG-powered soundtrack for interactive theatre’ to ‘modelling transfer learning of polyphonic musical structure’. Between sessions, participants enjoyed ample opportunities to network and socialize both during lunch and tea breaks and for a time following the workshop. Through this, successful collaborations could be cultivated across multiple disciplines. Numerous participants spoke favourably of the workshop and feedback was very positive, with one attendee commending the large number of consecutively high quality talks presented that combined ”strong theoretical grounds with methodological innovation”. All in all, the innovative research-based event succeeded in bringing together researchers from a variety of disciplines including signal processing, auditory cognitive psychology and neuroscience. This opportunity for interdisciplinary collaboration will be an important step in establishing a coherent picture of what the brain is computing when it processes sound, speech and music. In view of the promising success of this first workshop, organizers are now considering establishing a workshop series that could be hosted by a different institution on each occasion. In addition, there is optimism for developing a research network that might be facilitated by such events. If you would like to know how you could get involved in the organization of the next research workshop on ‘Auditory Neuroscience, Cognition and Modelling’, send an email to wancm2016@qmul.ac.uk. Choice of university is perhaps the most important decision I have had to make. Studying at the University of Southampton has greatly influenced my subject interests, determined my research experience, and has instilled ideas for a future career path I wish to pursue. I am currently a third year Biomedical Science student hoping to study for a PhD in a neuroscience subject. I recently volunteered to help run a Sixth Form outreach event hosted by members of the University of Southampton Biological Sciences department and the Southampton Neuroscience Group. The aim of the outreach event was to show students what it is like to study Neuroscience/Biomedical Science at university, by educating them about the complexity of the human brain and research at Southampton to help us understand this fascinating organ. The outreach day provided students with the opportunity to attend laboratory workshops, a university style lecture and talk with current undergraduate students, PhD students and academics about all aspects of university and neuroscience. My role was to guide the students through the various workshops, which gave me a great opportunity to talk honestly and openly about studying my degree and studying at Southampton. It was fantastic to talk with students in a position that I had only been in three years before, and to be able to answer many of the questions that I had before coming to university. I think that the purpose of outreach is different for everyone that attends. For some, the event was important in making students aware of Neuroscience as a potential degree/career option, and for others the day provided an opportunity to realise the diversity of the subject. But the importance of outreach, in my opinion, is to provide those attending with the knowledge to make an informed decision whether or not they want to study neuroscience by introducing them to both an unfamiliar and interesting environment. And based on the feedback received, it is clear that we were successful in our outreach event. One student wrote: ‘Biology/ Neuroscience didn’t originally interest me but today changed my opinion’. I hope that Southampton and other universities can continue to provide outreach events to attract more students to pursue a career in neuroscience, and that as an aspiring neuroscientist, I am able to continue to promote the study of what I consider to be such a fascinating subject. On 6th and 7th February 2016, Imperial’s South Kensington campus hosted LSNeuroN2016, the inaugural London Students’ Neuroscience Conference. The conference was organised by the London Students’ Neuroscience Network (LSNeuroN), a collaboration between the student-led neuroscience societies (NeuroSocs) at UCL, King’s, Imperial, Queen Mary’s, St. George’s Medical School, and now Goldsmiths. The sell-out event saw 400 students gather to attend a series of inspirational talks and workshops by world-leading academics and clinicians from across the field. Keynote talks were delivered by neuroscientists John Donoghue, Sir Colin Blakemore, Maria Grazia Spillantini, and 2014 Nobel Laureate Professor John O’Keefe, on motor control, perception, neurodegenerative disease, and the hippocampal cognitive map, respectively. Meanwhile, parallel-running symposium sessions organised by the member neuroscience societies of LSNeuroN, allowed a more in-depth exploration of a wide variety of topics. Over the two days, these included a neuropathology workshop featuring a live human brain dissection, panel discussions on neuroscience-inspired artificial intelligence and the interactions between art and neuroscience, as well as fascinating speaker-led symposia on neuro-oncology, neurodegenerative diseases, psychiatric disorders, traumatic brain injury, and more. In addition, over 40 students presented posters on their own research, with prizes (including a free 1-year BNA membership) awarded for the best presentations in both PhD and non-PhD categories. Exhibitor stands gave students the opportunity to engage with companies selling neuroscience-relevant products during lunch and coffee breaks, and an evening wine reception on the first day encouraged plenty of mingling! Feedback received has generally been extremely positive, with many students and speakers particularly impressed by the professional level of organisation of a student-led event, the breadth and depth of topics covered, and the quality of invited speakers. Although the first conference organised on this scale for students, we hope that the great success of LSNeuroN2016 will lead to many more in the coming years, possibly on a biennial basis, bringing together more students and building on the success of this conference. If you are interested in finding out more about LSNeuroN or any of the neuroscience societies, then visit our website at lsneuron.com, follow us on social media, or send us an email at info@lsneuron.com! LSNeuroN would like to thank all sponsors of this event, including the British Neuroscience Association, for their generous support and encouragement. The four-year, integrated Master's in Neuroscience (MNeuroSci) course at the University of Southampton has been an engaging, fascinating and challenging experience. It has provided me with the opportunity to work with multiple PIs, research fellows and PhD students, all whilst being part of a faction of undergraduates striving to produce results, meet deadlines and somehow manage to enjoy the social side of university in parallel. In our penultimate and final years of study we are trusted to manage our own time. I initially felt daunted by the weight of responsibility that a long lab project presents, but quickly got used to working under pressure and trying to steer the course of my own science by designing experiments and presenting my own data. The MNeuroSci course allows you to focus on the subjects that interest you most, which in my case is the investigation of neurodegenerative pathologies. A major challenge of the MNeuroSci has been returning froma four-month summer to find an incredible number of milestones to be achieved in the final year if you are aiming to obtain a good grade. From my point of view, as aspiring neuroscientists, we have the most interesting selection of modules available to us. However, they are often also the most difficult, with a heavy workload that takes a while to adapt to, until after the first couple of months, when we really get into the swing of things. A chief component of the MNeuroSci involves gaining a greater understanding of the complexity of the brain ans its function, both at the molecular and morphological level. It also focuses on widening our experience of scientific research in general. We are encouraged to attend a weekly seminar, which researchers from around the country and beyond are invited to visit the university and present their data. These seminars allow a broader understanding of the research being undertaken in lab groups around the world. We are also encouraged to attend the local Southampton Neuroscience Group (SoNG) seminar series, which offers the opportunity to learn about neurological pathologies and new discoveries, which are otherwise untouched or only superficially mentioned in lecture materials.The seminars provide a real insight into the complexities of designing controlled experiments and producing robust assays. The novel and prominent aspect of our MNeuroSci course is the 'Advanced Neuroscience' module that was introduced this year. Through ten workshops with experts in a particular aspect of neurologically-based biochemistry, pathophysiology or pharmacology we are able to discuss, in depth, what is for many, a life’s work. A recent workshop explored the use of solid state NMR to elucidate the structure of disease-causing protein aggregates in the brain. The workshop brought to light the idea that distinct Amyloid protein structures could drive differences in pathological progression between patients suffering from Alzheimer’s. This discovery could facilitate personalised treatment plans dependent on a patient’s specific Amyloid fibril structure. I believe that the final year of the MNeuroSci course prepares you far more thoroughly for the world outside of university than the initial 3 years of the degree. It is a comfortable transition, in which teaching through lectures and seminars is coupled with the opportunity to conduct your own scientific study. Fortnightly workshops enable real intimate contact time with lecturers, inspiring further research. Your daily workload is entirely up to you: it is your decision regarding how many seminars you attend, or how much writing or lab work you get done on any given day. As such, I am confident that the MNeuroSci course will unlock doors to many different research environments, and hence enable a more fluid conversion towards undertaking a PhD. On Saturday 6th February the Edinburgh University Neurological Society (EUNS) hosted their 4th Neuroscience to Neurology National Conference. The EUNS conference aims to bring together experts and students in the specialties of neuroscience, neurology and psychology. The event proved to be our largest to date, attracting over 140 students from across the UK. The conference provided students the opportunity to present their research and we enjoyed a very high standard of poster presentations and oral presentations which covered a range of disciplines. In between student presentations, leading experts in the fields of regenerative neurology, psychiatry and the UK Biobank delivered engaging and thought-provoking lectures which highlighted the significance of both historical and existing advances in research. The afternoon workshops addressed diverse topics within neuroscience and neurology. They ranged from neurotrauma and nerve conduction studies to careers advice and the neuroscience of recovery. Prizes were awarded to the three top poster and oral presentations. Judges were also full of praise for the essay submissions to the EUNS essay competition which discussed “A historical figure in the field of Neuroscience, Neurology or Psychology”. We are very grateful to all who participated and to the BNA for supporting our event. Overall, the conference emphasised how the integration of science, medicine and psychology can help us to understand how our brain functions in both health and disease.